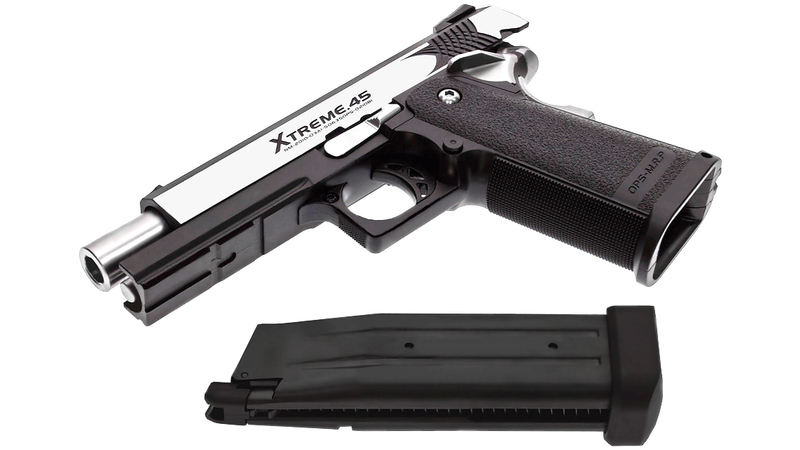 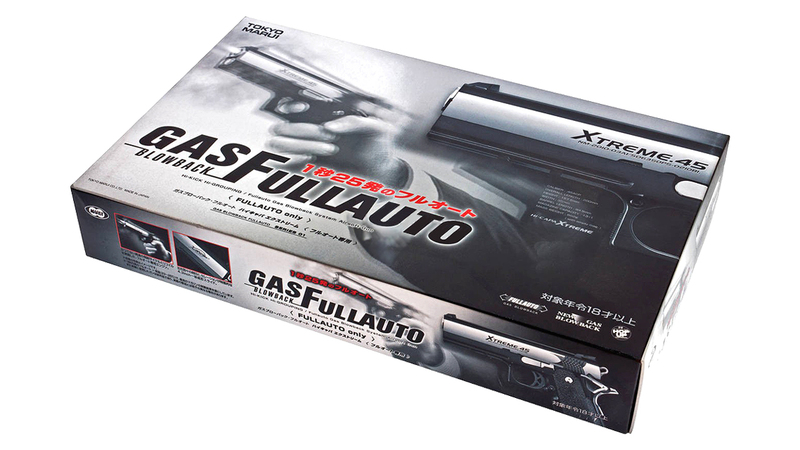 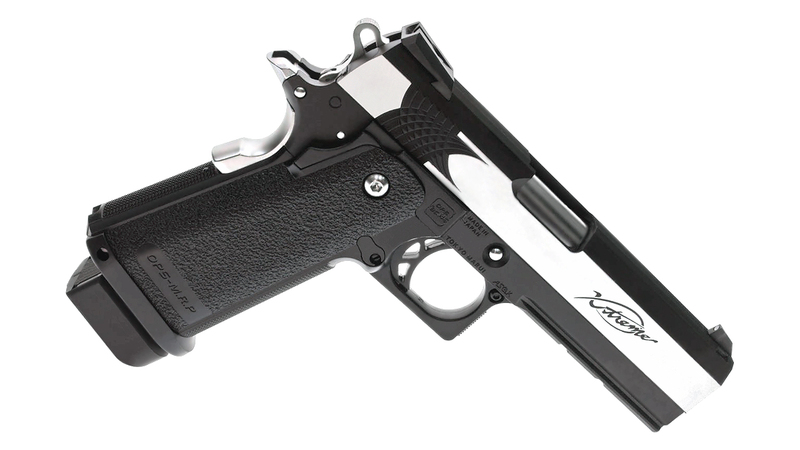 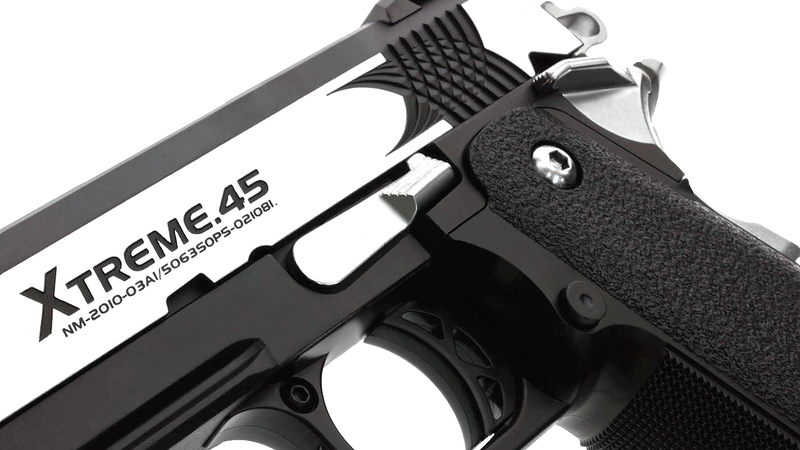 Tokyo Marui releases a full auto variant of the 4.3 Hi-CAPA, coined the Xtreme .45, it features a removable buffer on the spring guide which effective gives the Xtreme .45 a very short stroke blowback. 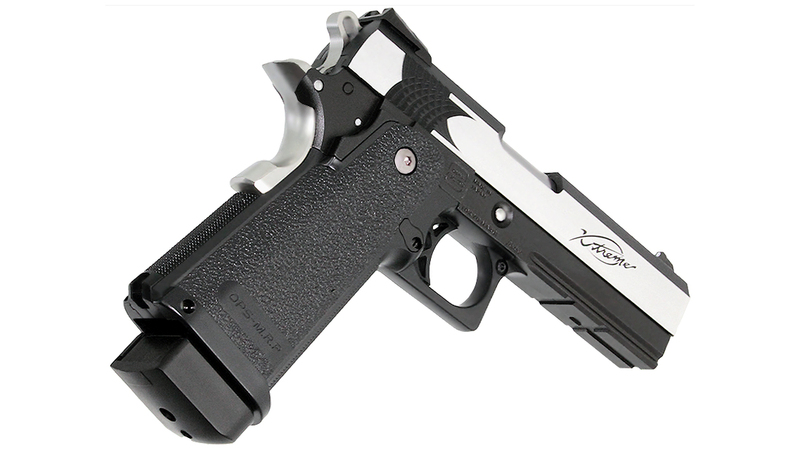 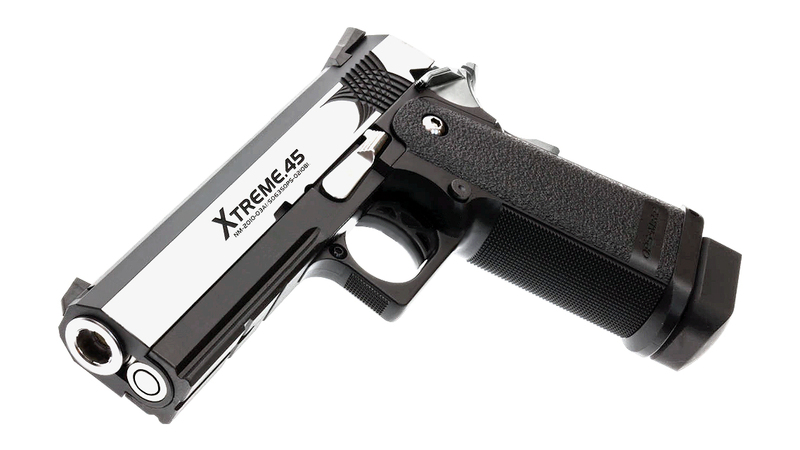 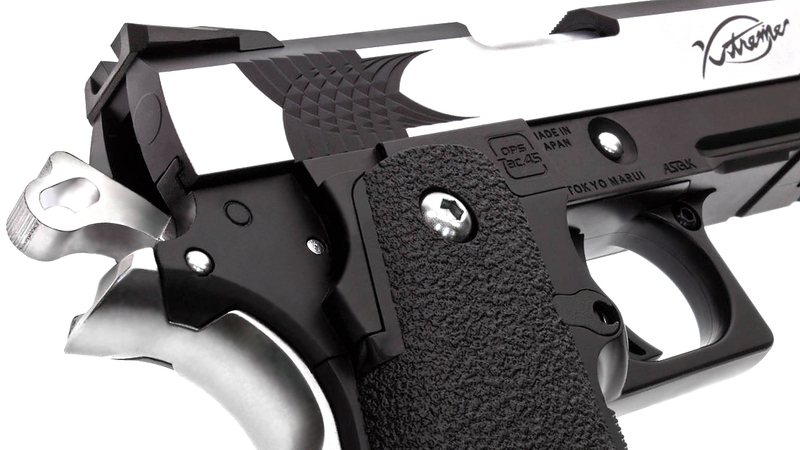 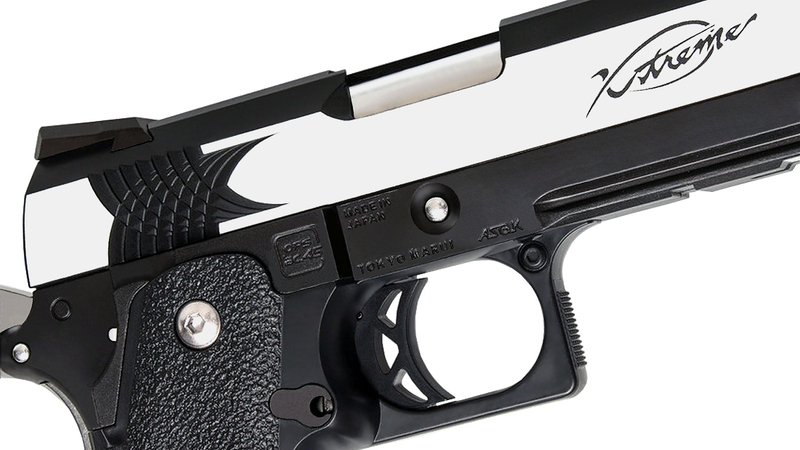 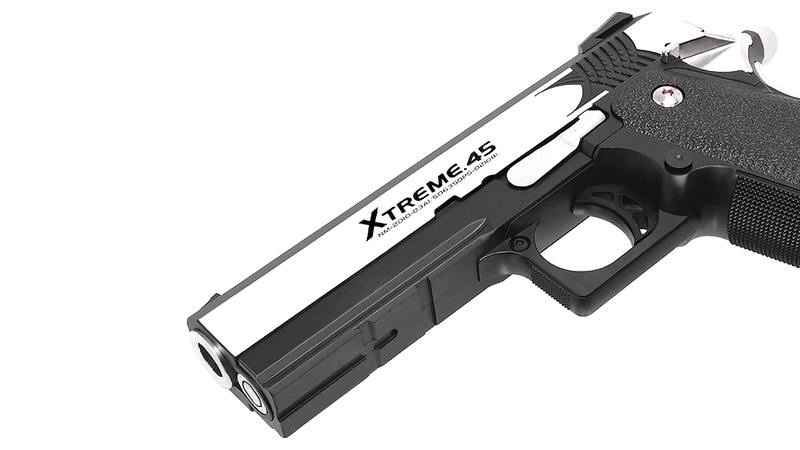 The short stroke disables the slide lock, but increases the rate at which the Xtreme will fire. 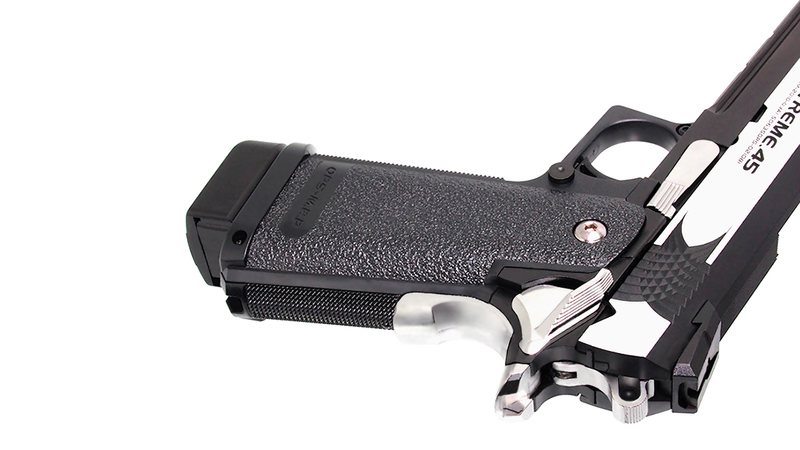 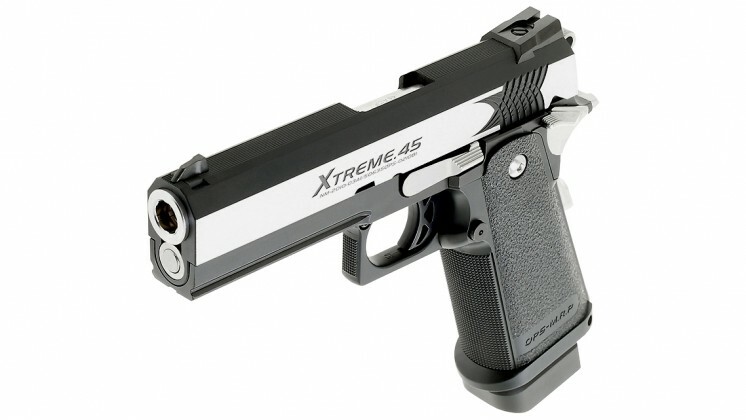 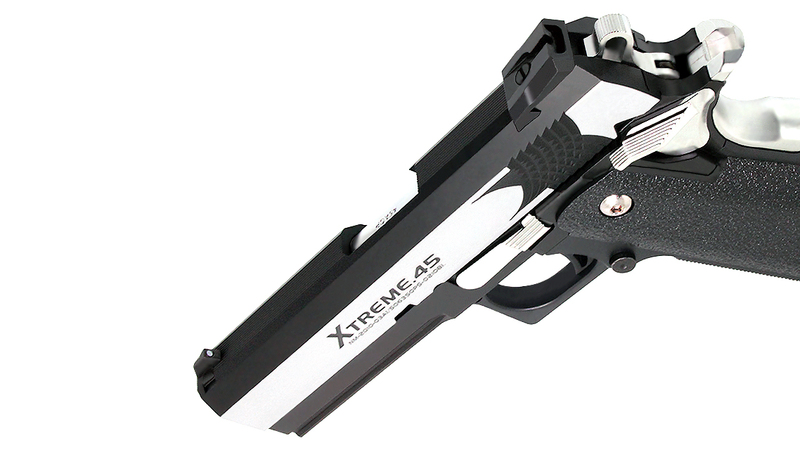 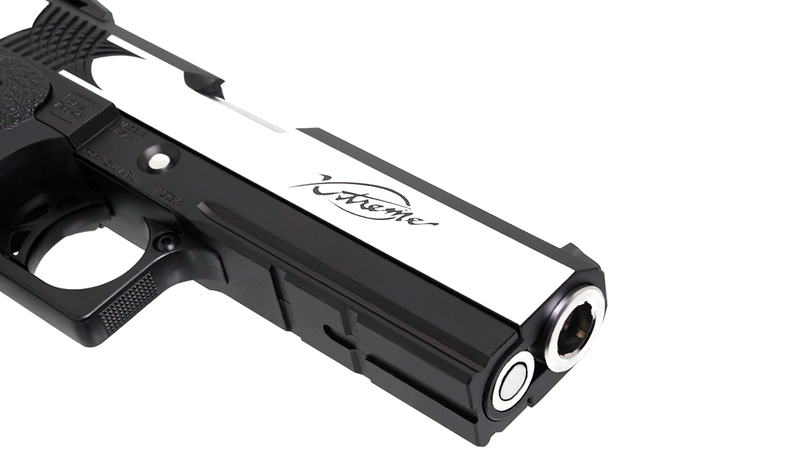 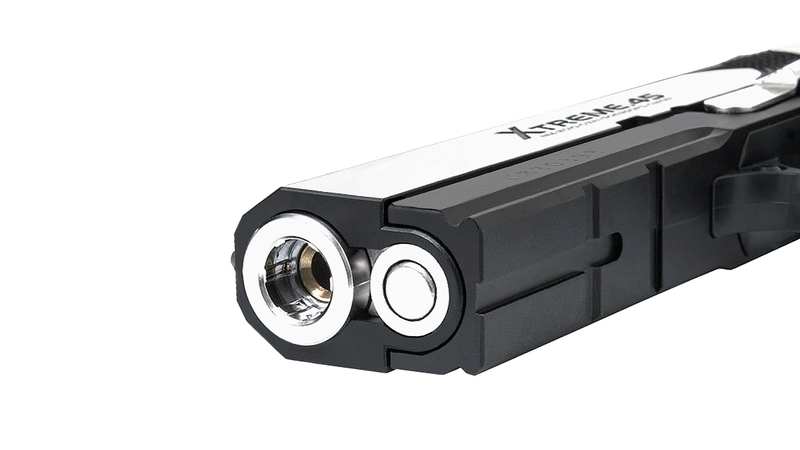 Just like the 4.3 Hi-CAPA, the Xtreme is capable of holding up to 31+1 rds, with a fully adjustable hop-up system.